India’s installed solar generation capacity had grown over ten times in the last five years and is now generating plenty of jobs, announced Mr. Piyush Goyal in the Indian Interim Budget 2019, presented on Feb 1st this year. India is looking at deploying renewable energy sources aggressively to reduce the state of pollution in its urban cities. The country is targeting to reduce its dependence on imports of fossil fuel and develop solar power as a prime source of energy by 2030. 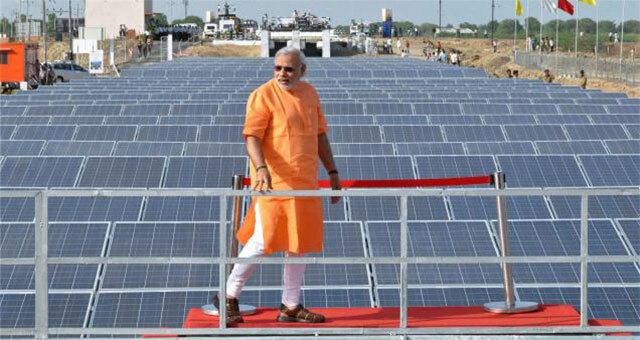 However, the Indian Budget was pretty drab about renewable energy this year. Just a mere mention on EVs, energy storage and solar energy – that’s it. “India will lead the world in the transport revolution through electric vehicles and energy storage devices, bringing down import dependence and ensuring energy security for our people,” said Goyal. But how will this be done? There were no specified goals, incentives or subsidies announced. The scarcity of financing options and lack of manufacturing facilities is leading to a slow death for manufacturers. While the country’s commitment to clean sources of energy is clear, there is no long-term roadmap for its adoption. The minister announced that steps would be taken to encourage the distribution companies (DISCOMs) to buy the surplus solar power generated by the state governments. In addition, the Finance Minister spoke about rural electrification, Ujjwala Yojana, ISA (international solar alliance) etc.